This is a question I have been asked many number of times in last decade or so. 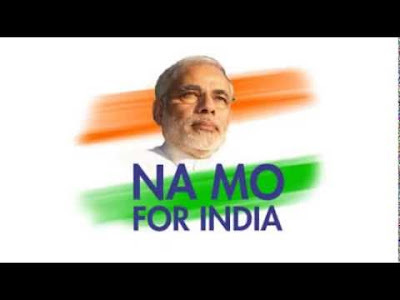 Both the critics of my blog as well as my supporters at some point wanted to know the reasons that made me an ardent supporter of a certain Narendra Damodardas Modi. Many, mostly my critics, even term my support for the man as borderline sycophancy, which may not be entirely wrong as far as perception goes. But there is a catch to my support than just plain sycophancy. True support comes for a person from prolonged observation and careful analysis of the acts and actions of the man/woman in question unlike sycophancy which comes naturally out of servile mentality. And those who follow my blogs for some period of time would agree that I was an equal boisterous supporter of Modi when he was no one as I am today when he is the PM of the country and arguably the tallest leader of the present set. I find it apt now to open myself and lay out the reasons that entice me to adore this politician like I did to none; no, not even the great Atal Bihari Vajpayee. It was 2001 and I wasn’t much into national politics. Fresh out of engineering college had its own inhabitations to make one spare time on politics and politicians. There were other interesting things to do, if you understand what I mean. It was 2001 Republic Day and it changed my interest towards many things, one prominent being my interest to observe and follow Indian politics henceforth. As a ritual I am a big fan of our Republic Day parade. That morning I switched on the TV around 9 AM to watch the spectacle from Rajpath. The tragedy unravelled as we were half into the parade. An earthquake measuring 7.7 in the Rector scale has hit the ‘Kutch’ region of Gujarat. Around 20000 people lost their lives. Lifelong savings and hard work were lost in ten minutes flat. Many were rendered homeless and jobless at once. Scale of devastation which gradually unfurled was of serious magnitude. The rescue and rehabilitation work that was taken up was equally grand scale in nature. Keshubhai Patel was the then CM of Gujarat. Night after night, I found Mr. Patel coming before the media to lay out another of his sluggish excuses to defend his incompetency. I was relieved when he was asked to leave his position. It was a political crisis, both at the state and the BJP government at the centre. No one was ready to fill the void that Mr. Patel left. It was apparently perceived as a political doomsday for anyone who was ready to take up the vacant job. Would you believe I was a fan of Rajdeep Sardesai back then? In one of his ‘Big Fight’ episodes the very political semantics of Gujarat was debated in length while the known faces from Gujarat present in the debate showed their hidden reluctance to put their political career at stake. Then Atal Ji pressed a political novice named Naredra Modi to take up the challenge. Though it was much like how Manusr Alikhan Pataudi forced Farooq Engineer to open in Antigua since no was willing to face the fierce West-Indian bowlers first up, Atal Ji still put a straight face and explained his faith on a political novice as he was known for his organizational skills. So there was the advent of Modi on our political scene and if I dare, I may very well put it as – by accident. For a change Modi appeared refreshing compared to the slothful and escapist altar of Mr. Patel. I loved the way he answered the media and other critics. The man of the moment also spent a day in ‘Kutch’ and vowed to bring it back to its earlier glory or even beyond. Brick by brick he worked non-stop with various agencies, both government and private, to fix the disaster. As directed by Atal Ji, Modi made sure that the help reached the last needy standing. Instantly I liked the person in Modi. I liked his no-nonsense attitude. For the first time I felt, here is a politician who at least cares for the people. Then came the dark chapter in Gujarat history; the infamous 2002 Gujarat riots. A bogie full of Hindu ‘Karsevaks’ was charred alive in an organized manner and that kick started a chain of events which we still are witnessing. Almost a thousand people lost their lives in the communal riots that followed. Post the riot, I found a startling difference with Modi in comparison to other politicians. It was a given in our liberal flavoured narrative to have the state head standing up and apologizing to the Muslims after every communal riot irrespective of who kick started it. By default the chronicle has been set at a point where the Hindus were held responsible for every communal disharmony in whichever way. Modi came here as a change. He refused to apologize for events that were never in his control. The Hindus in the state as well as across the country loved this upright approach of Modi. I liked it too. In the liberal narrative that was pioneered by the Congress-Left ecosystem never gave Hindus their space to be heard. The top brass of BJP was also falling into the trap of the same phoney narrative though they projected themselves as a Hindu centric party. Hindus in the state wanted someone who becomes their voice and Modi appeared the ‘Hindu Narrative’ that most Hindus were desperately waiting for some time. As the CM, Modi did his best to control the situation but never stretched himself to the filthy tokenism that our secularism loving pseudos’ were so used to. This even angered the likes of Atal Ji. As per Yashwant Sinha, Atal Ji has almost made his mind to sack Modi if not for the fact that LK Advani suggested to wait and watch for few months. This complete disdain towards the established norm also angered the liberals alike. Vilification from the secular-liberal quarters started pouring in. Our media which was part of the same ecosystem started airing concocted stories to further belittle Modi and his style of governance. Epithets of worst kind were levelled against him. Few even called him ‘Murderer’, ‘Maut Ka Saudagar’ and ‘Butcher’. Relentless media scrutiny went on 24/7 on national television to degenerate one man with all kind of name calling and baseless allegations. But the man in question never reacted to the rot thrown at him. He kept on working thereby gaining more support from the common populace and the BJP cadres. This is perhaps the primary reason why Modi could survive the 2002 ‘Secular Onslaught’. In July 2002, barely three months after the horrific riots, Modi resigned when the government still had good 8 months to go. He clearly took a gamble or maybe he wanted to prove is popularity base before the nation and defy the backbiting that the media and their masters in various political parties were orchestrating. His political career was hanging on a slender thread. One loss and Modi would have been history. But he won 127 seats, 8 more than the previous Kesubhai Patel government. This showed the popularity of the man and his consolidation of the Hindu votes. This win must have warned the top brass in BJP to drop their idea of replacing Modi as this may backfire in national politics. The surprising defeat of Atal Ji in 2004 general elections did help Modi’s political cause a bit but it certainly gave enough ammunition to the secular brigade to aim at Modi with more vengeance. As expected the narrative suddenly zeroed at Modi as being the main culprit for 2004 surprising loss. The so called ‘Ghost’ of 2002 Gujarat riots held as the reason. Congress too left no stones unturned in driving home their point. Numerous investigative wings were setup to castigate Modi and his government. I am still surprised how Modi survived from 2004-2009. Handouts were issued with specific dictations from the liberal gang so that the investigative agencies could nail Modi (un)fair-and-square. Witnesses were parroted before the court. All kind of skulduggery went around unobstructed. Cottage industries by the likes of ‘Teesta Setelvad’ and ‘Tehelka’ were opened as the second line of attack. But the man in question kept on working harder there by giving himself an image of a man who also loves development as part of his political strides. His work in the state also attracted the fence sitters, not just his hard-core Hindu vote base. BJP cadres even supported him more, so as the common populace. Gradually the web of falsehood that the secular brigade was webbing started to fall flat on the court of law. Unholy trinity of Congress-Left-Media-NGO came to public domain. People started hating these age old secularism ‘Thekedars’ for their lies and dishonesty. All this while Modi kept on working more. The unflustered aura of Modi impressed me more going into 2008-2009. The second consecutive loss of BJP in 2009 general elections became instrumental in positioning Modi in pan India level as a person who would work for the much awaited Hindu cause. BJP too as a party lost most of the senior faces after 2009 defeat. That left a huge space for Modi to make a name for himself. He worked even more to present his dual avatar for the voters to choose. At one hand the core Hindu base were happy that Modi is courageous enough to challenge the Congress-Left phoney liberalism narrative while the development centric youth and corporates loved Modi as a man in a mission for overall growth of the nation. Gradually Modi become the darling of the vast Indian middle class. During this time the advent of social media helped propel Modi further. The mainstream media that was busy all this while in airing bogus stories against Modi was challenged with facts and details. A separate narrative was built by the supporters of Modi on their own. The popularity of Modi grew further in the internet world with more people willingly investing their time and energy in countering every stupidity and falsehood of our media. Yours’ truly is one of the thousands nameless and faceless entities who fought against the abject dishonesty of the established ecosystem and the ‘Darbaris’. Drunk with power, Congress and their associates kept engaging themselves with scams and loots and pushed their minority appeasement more. When they had free time they called the massive support Modi was enjoying in the digital space as a stage managed phenomenon by Modi and Amit Shah while the facts were entirely different. They kept on abusing and vilifying and the man in Modi gradually established himself further in the national politics. Come 2011, Modi undoubtedly established himself as the voice of Hindus. In a ‘Vibrant Gujarat’ summit he openly refused to wear a skull-cap offered to him. That was again against the established norm. Till that day every politician was more than eager to accept one and wear it immediately to showcase his secular credentials though there were no proofs of reciprocation from the other side. Modi objected to yet another tokenism and instead claimed himself as a ‘Proud Hindu’. That irritated our secular stable more. Another round of fraudulence and filthy name calling germinated. The history of grubby abhorrence of 2002-2009 got repeated all over again. Few more adjectives were invented. People from our media started visiting streets of Ahmadabad more frequently to lie more. Every bit of news on Modi was given a communal spin. People in general saw through the plot and started supporting Modi more. Our media tried to downplay the support as one for the development promise of Modi, not the ‘Hindutvta’ politics that Modi assures. But that conclusion was for self-assurance only. The massive mandate BJP got in 2014 and the recent UP election shows that Modi’s popularity is not only because of his developmental image. He is supported by all those Hindus who felt like being marginalised in the suffocating surrounding created by minority appeasement of the Congress-Left brigade. They see their voice in Modi’s speeches. Yogi Adityanath being elevated as the CM of UP is another proof that Modi hasn’t forgotten his core vote base and the lakhs of cadres who have supported him in all thick-and-thin. This is what I like most in Modi. His conviction on what he believes and he shows it openly unlike the charlatans who either act truculent or are too coward to admit it in open. Appeasement of a particular community is a thing of the past now. In entire UP BJP never fielded a single Muslim candidate and yet won 324 seats while the routine secular parties boasted the number in hundreds and yet all of them put together could only manage to win 78 seats. Even at places with more than 50% Muslim population BJP could manage to win with huge margins. This reflects that the Hindu votes have consolidated behind Modi and BJP. And this vote has consolidated not because of Modi alone. A good lot also is because of the Modi vilification in particular and Hindu vilification in general that the secular brigade played out for decades. This is because of the nonchalance in bringing draconian ‘Communal Violence Bill’ by Congress which had it been implemented would have labeled all Hindus as communal and at faults for every communal disharmony. I am glad that here is a leader who is listening to my worries and assures me that the majority community won’t be subjected to vilification and humiliation for vote bank. There would be that much needed equality among every section of the society. There would be no appeasement and all the established falsehoods would be challenged in no uncertain terms. I am glad that here is a politician who promises and delivers development unlike others who are only interested in scams and nepotism. I am glad that we have a PM in Modi who promises ‘Sabka Saath – Sabka Vikash’ and implements it to the last syllable.